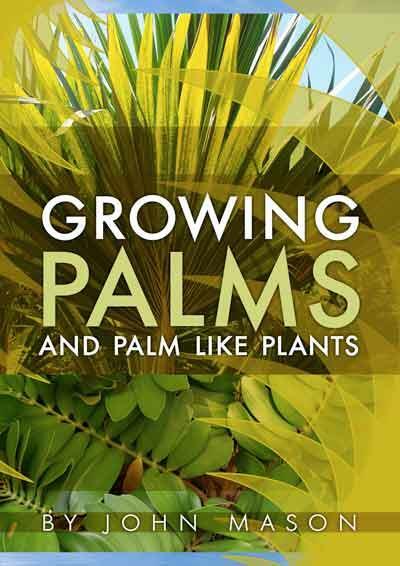 The Growing Palms and Palm Like plants ebook will show you ways of using palms that you might not have thought about, help you identify differences between the most commonly cultivated palms and cycad genera and provide a valuable reference for choosing and using palms and palm-like plants across a wide range of climatic conditions. Palms and palm-like plants are mostly grown as structural plants. They add stunning shapes into a garden that are different to other plants and for that reason alone, stand out and capture our attention, making a garden more interesting. Palms can be more than just architectural forms though; providing shade, colour and texture to a garden. If you choose an appropriate species, they are great indoor plants. Palms are commonly thought of as either tropical or indoor plants. While many palms come from warmer climates and are often grown indoors this is not really an accurate assumption. These plants occur naturally across a wide range of climates, both temperate and tropical, from wet rainforests to arid deserts. This ebook explores the diversity of species, the differences in appearance, and the way in which different species might be cultivated.